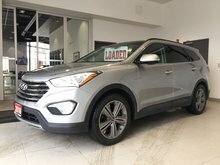 While many manufacturers offer pre-owned vehicle certification programs, Hyundai’s pre-owned vehicle certification program, known as H-Promise, goes above and beyond to satisfy the needs of its customers. From a 120-point inspection to advantageous warranties, Hyundai’s pre-owned certification program has it all. Before any pre-owned vehicle is put for sale as a Certified Pre-Owned Hyundai vehicle, it must first pass a thorough 120-point inspection to meet Hyundai’s quality standards. The 120-point inspection is conducted by our team of trained Hyundai service technicians, who inspect everything from top to bottom. All necessary repairs are completed with genuine Hyundai parts to ensure the vehicle has a long, healthy life. H-Promise also offers a wide range of benefits with their Certified Pre-Owned vehicles. With a Certified Pre-Owned Hyundai vehicle, you’ll benefit from 24-hour roadside assistance, your first oil change at no charge, and more to make your experience as enjoyable as possible. You’re also entitled to a 30-day/2000 km exchange period and comprehensive warranties that are sure to satisfy you. That’s not all. At Sudbury Hyundai, we offer attractive financing options on our Certified Pre-Owned Hyundai vehicles. Our financing department will work with you to help find a flexible and affordable financing rate on your next Certified Pre-Owned Hyundai vehicle. From special offers and attractive financing options to a full 120-point inspection, H-Promise has got you covered. 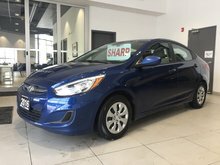 Visit Sudbury Hyundai today to explore our lineup of quality Certified Pre-Owned Hyundai vehicles.